Guess what’s wrong with this photo. As Kecia Ali says, Men, men, everywhere. P.S. This is from FB. Because what could women possibly have to say about education and learning? Or about Islam? Or about the current status or future of Islamic institutions? 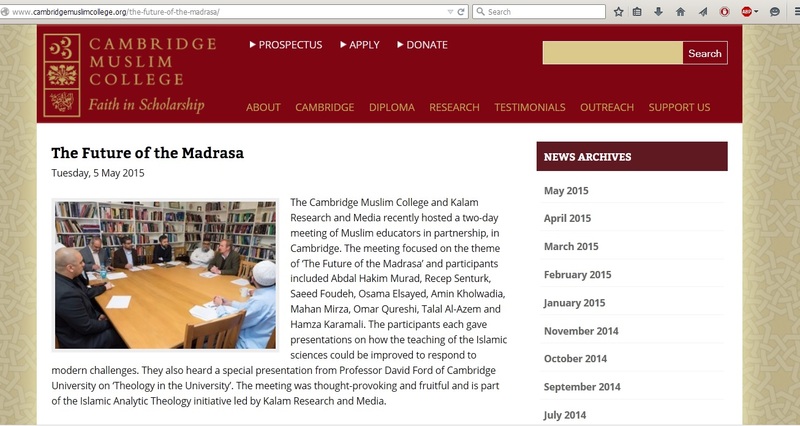 Or about modern challenges to the teaching of Islamic sciences? I wouldn’t know anything about that; I’m just a woman with no opinion, no experience, no knowledge, no concerns regarding education, Islamic or otherwise but particularly about Islamic institutions. But actually, quite a lot. In fact, it is outrageous that any topic regarding education would dare ignore women’s voices–and “modern challenges”?! How do you exclude women from a conversation involving “modern challenges”? (Islamic) education, Islamic institutions, Muslim educational spaces, “modern” challenges are topics of discussion that takes place actively on Muslim social media. We women have a whole lot to say on these matters. I can think of several issues I alone would have raised at this meeting, and I know Muslim females who, due to their experiences in Islamic institutions as well as in other similar spaces, would have plenty to contribute to the conversation. The exclusion of women is somewhat deliberate—as I will mention below—but more so subconscious, and both are unacceptable and wrong, and this needs to be condemned. It is internalized misogyny in action, a consequence of patriarchal assumptions about women’s lack of intellect, claims that anything they have to say is biased and thus must be validated by a male voice, and attempts at dismissing their importance other than, at times, as mothers and wives, and, in some cases, men’s female friends because you’re not sexist. As much as our male leaders would prefer that we not exist as anything except their mothers and wives and their cooks and maids, we actually do exist in every sphere of life, and today, as of 2015, there is no field to which women are not making significant contributions. They need to figure out a way to deal with our existence and unwanted presence in the public because we’re here to stay. We, especially as Muslim feminists or as Muslim women vocal about the discrimination against us in Muslim spaces, are often told, “Islam gave women so many rights before the West ever did!” This is an empty statement to us. It means nothing because it is not put into practice, so it doesn’t matter whether Islam gave us rights or not; what matters is whether those rights actually exist in practice or not. In fact, many among us have started to realize that this statement is an attempt to shut us up because to suggest that our status in our communities is inferior to that of the men’s is to say something against Islam; when we remind the patriarchal Muslim community that if Islam has given us so many rights, where are those rights in practice, the leaders understand it as our claiming that Islam never did give us those rights. The conversation then becomes derailed, shifting from How to recognize Muslim women’s rights to How to convince Muslim women that they don’t know anything about Islam and their rights in Islam. But here’s the thing: We are tired of being censored and silenced with the excuse that by speaking against the way that Muslims treat us Muslim women supports the Islamophobic agenda. Because until the discrimination against Muslim women is recognized, condemned, and corrected, we will continue to air this dirty laundry of ours no matter how much it also happens to support Islamophobia in the process. We and our God know our end-goal; the community and male patriarchal leaders do, too, but they are unwilling to acknowledge it. In fact, here’s a thought: Maybe, just maybe, we wouldn’t have anything negative to say about our treatment and life as Muslim women if we were not treated as second-class citizens, if our knowledge and opinions were valued and invited. It is as simple as this: Once and only when this problem goes away, our criticisms, our “complaints” will go away. While this is unfortunate to have to remember, Muslim women are, alhamdulillah, not alone in this struggle; Muslim male leaders are not the only ones who deliberately and subconsciously exclude women from any conversations that concerns the Muslim community. Hardly a couple of days ago, we ­came across a Tumblr blog, humorously titled “Congrats, you have an all male panel!” committed to commemorating all-male panels by compiling stories and photos of said panels at http://allmalepanels.tumblr.com/. And here’s a simple suggestion to men in the tech industry (and everywhere else!) who stand against the unwanted presence of women in their field. This said, I want to add that I contacted Shaikh Abdal Hakim, who chaired the meeting, and he acknowledged that the absence of women at the event was wrong and suggested that efforts will be made to correct this in the future, to remind everyone that women are half the umma. (That anyone should need this reminder is heartbreaking.) He CC’d the organizer, Hamza Karamali, in his reply, who accepted full blame for the exclusion—but he said that some of the male participants had months before suggested female participants to be included at the event; Karamali also commented on the Facebook photo album and made the same acknowledgement. What does it mean, though, that he chose to exclude women despite having had the matter brought to his attention? I’ll leave that to the readers to decide. I will say, though, that mere attempts are not sufficient; don’t simply try to include women in these things—but actually include them. When the photo album of the meeting was shared on Facebook, several commenters called for some sort of a pledge to urge men not to participate in panels, events, meetings, etc. that do not have a fair representation of women participants. I would like to add publications to this as well: men who sincerely acknowledge the full humanity of women and who recognize the importance of acknowledging female authority, knowledge, perspectives, and experiences as completely legitimate should boycott not just conferences and panels with little to no participation by women but should also refuse to contribute to books, anthologies, edited volumes, etc. with little to no female contributors welcomed. I’ll share more details about a pledge like this once it’s out, inshaAllah. In the meantime, I’m sure that men who acknowledge women’s full humanity and our authority and who are strong proponents of justice don’t need an actual written pledge to vow to stand with women by openly condemning, or condemning in any way possible for them, the lack of recognition and respect given to women’s authority, voices, experiences, and being. This entry was posted in Death to patriarchy, Muslim things, why we need feminism and tagged female authority in Islam, feminist choices, Islamic feminism, male-only panels, Muslim conferences, Muslims, where are the women?, why we need feminism. Bookmark the permalink. 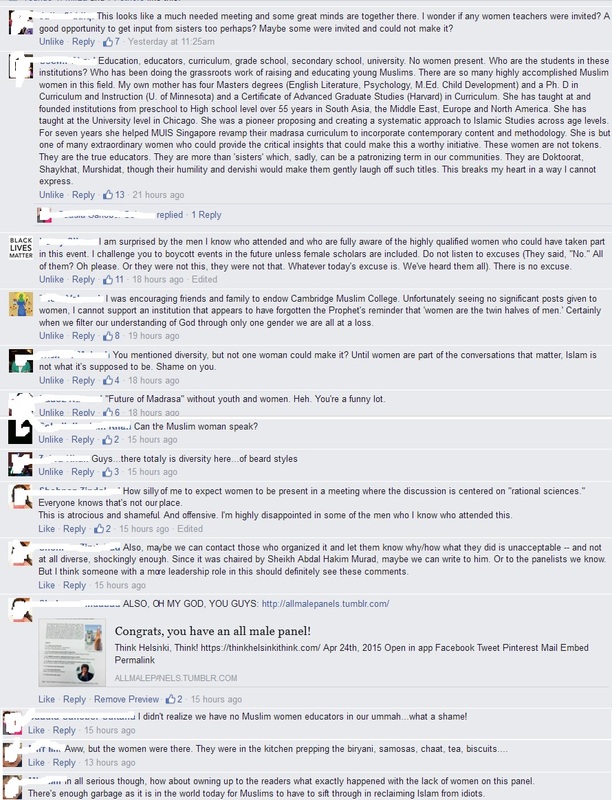 11 Responses to No More Male-Only Panels, Meetings, Edited Volumes, etc., Muslims!! I totally agree; men should absolutely boycott panels that exclude women. The time is well and truly overdue. Right?! The time to not have male-only panels was yesterday! Also, sad that I’m going to a symposium in June where I’m not only the only presenter speaking on a female Muslim scholar (the other 8 or 9 panelists are talking about male Muslim reformers, naturally) BUT I’m also the only female panelist…. I have the perfect beginning for my talk, inshaAllah. Insha’allah to your presentation and it is very sad; how capable does a capable woman need to be before she is considered capable? That’s actually *exactly* what I intend to do – disrupt and ruin the patriarchy behind a male-dominated conversation that I’ll be a part of as well. Women make their own mosque, they are trying to break off the Muslim community. 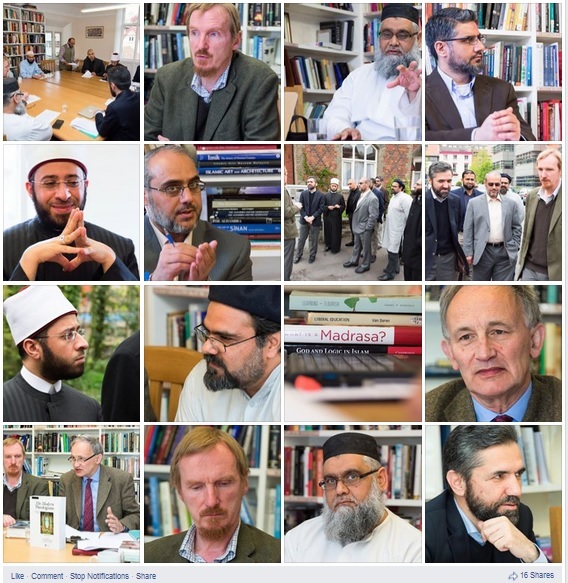 Men held their own conference, it is about Islamic education. Good connection. Also, men can do no wrong – they are only doing what they’re naturally design to do: be in charge. Dear male Muslim scholars, we need you to act not talk. We need you to change a religious culture with your actions because they count for more than your words. If you’re invited to join a panel, a study group, a published anthology etc, don’t do it unless there are also female contributors. ❤ You tell 'em, girl! That reminds me of the petition I'm working on with some friends that'll urge allies to boycott make-only /male-dominated panels!